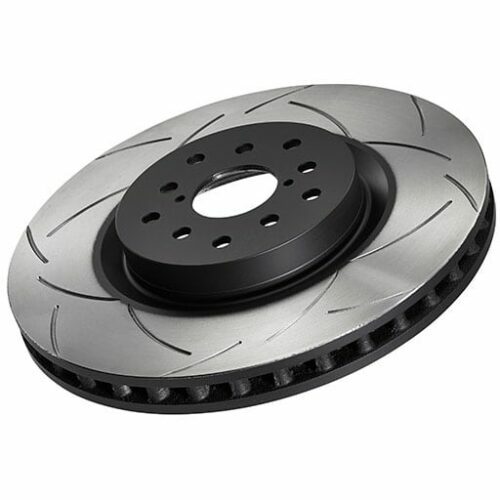 The DBA 4000 T3 Series rotor is their mid-level brake rotor that performs better the top-level rotors from other brands. The 4000 series is capable as a street rotor but is also at home on the race track. DBA 4000 Series rotors feature Thermal Stability Profiling (TSP) for improved heat handling. TSP enhances the micro-structure of the rotor material providing greater thermal stability. Increasing the thermal stability allows your DBA rotors to take more heat, making them more stable under heavy, frequent braking. 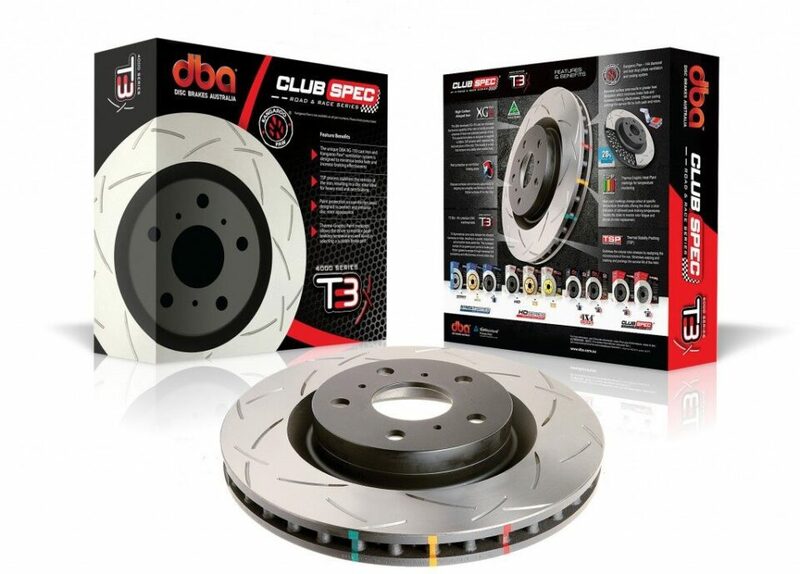 DBA rotors with TSP will experience improved brake pad and rotor life. Thermo-Graphic paint markings on the edge of DBA’s 4000 Series rotor change color at specific temperature thresholds allowing you to check your braking performance quickly and easily. Green changes to white at 856°F, orange will change to yellow at 1022°F and the red will change to white after 1166°F. Ideal braking temperatures are between 850°F and 1000°F (so the green will become white and the orange and red are unchanged).